And by and by a cloud takes all away." 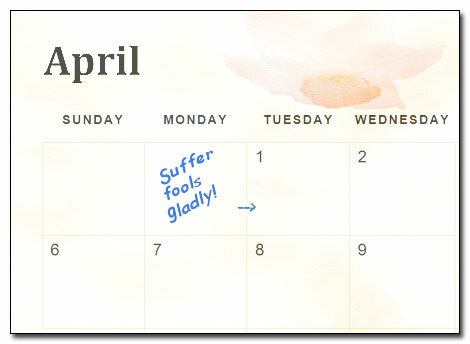 No one knows the true origins of the first day of April All Fools' Day (AFD). One theory says it came about because Mother Nature loves to fool us with fickle weather. Approximately two weeks into spring, AFD marks the season with unpredictable weather in the Pacific Northwest, even an occasional snow shower! Yet, this is the month when the floral show takes off in the garden, with or without the inclement weather. All the hard work we put into planting bulbs in the garden last fall, pays off this month and next. Another AFD theory is that at the time of the spring equinox there were many festivities to celebrate the beginning of spring and a new planting season. During these celebrations, people would wear disguises and play pranks on each other. Some historians believe it is how the day evolved into All Fools' Day. Mother Nature may fool you and me with the weather; however this month is one of the busiest times in our garden. 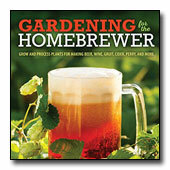 This is when we feverishly plant our seeds, pot up our containers and succumb to the rituals of spring. Maybe spring fever brings out the fool. Or foolishness brings out the fever? Most likely, neither—our bodies have been programmed since our species turned to agriculture to feed our families. This time of year is when we worked especially hard in our gardens. We had to plant enough to harvest and hoard during the darker months of the year. Perhaps spring fever is a survival tactic our bodies remember. A more likely scenario is when spring hits, the light, the warmth and the longer days rejuvenate us into being more active. Gardening is one way to use our bodies’ renewal and bursts of energy that we feel each spring. One last AFD theory says that the first day of May—smack dab in the middle of the first days of the spring equinox and the summer solstice—was celebrated as the first day of summer. Anyone who hastily planted before this date was called an April fool. The wise gardener knows we can plant early and fend off any foolishness with a greenhouse, cloche, or indoor lighting devices to help seedlings grow until it is warm enough for them to grow outdoors. 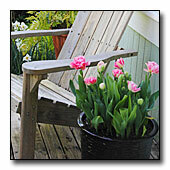 So April, don’t you dare bother us with your fools' day, at least in the garden, we have our planting fever covered!